“Ghost” began to pursue and attack “Bridal Mask“. 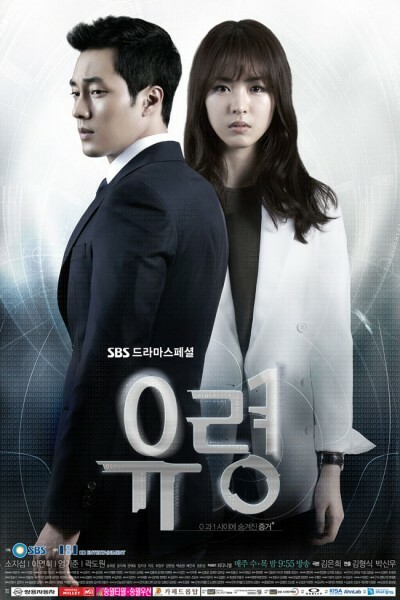 According to statistics released by AGB Nielson Media Research on June 15th, 2012, episode 6 of SBS drama series “Ghost” aired on June 14th, 2012 scored 12.2% national average viewership rating, an increase of 0.4% over previous episode. With the rising ratings, “Ghost” has also begun to challenge the ratings champion “Bridal Mask”. In the intense competition of Wednesday and Tuesday drama series, “Bridal Mask” takes the advantage. “Bridal Mask” starring Joo Won and Jin Se Yun has been maintaining the top position at ratings chart for Wednesday and Tuesday drama by virtue of excellent plot and superior acting. And “Ghost” starring So Ji Sub and Lee Yeon Hee has also begun to launch a strong challenge to ratings champion with the continuous suspense of the plot. “Ghost” started with 7% rating, and rose to double-digit ratings in just 2 episodes. In addition, audience is also full of expectations towards the future plot development. Meanwhile, MBC’s “I Do I Do” continues to score a single-digit ratings, ranking last among Wednesday and Thursday drama. Episode 6 of KBS’s “Bridal Mask” and MBC’s “I Do I Do” aired on June 14th, 2012 rated 15.0% and 9.2% nationally respectively.